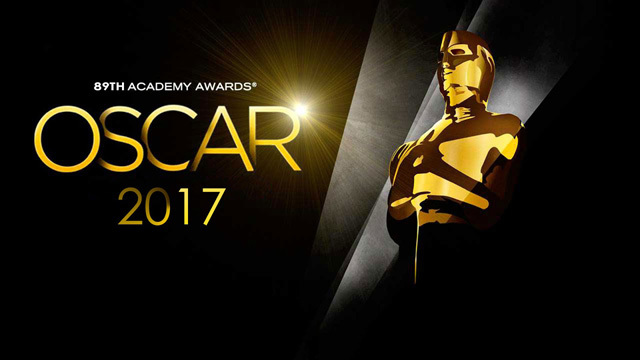 Oscars 2017: Nominations, Snubs and Predictions | Warped Factor - Words in the Key of Geek. 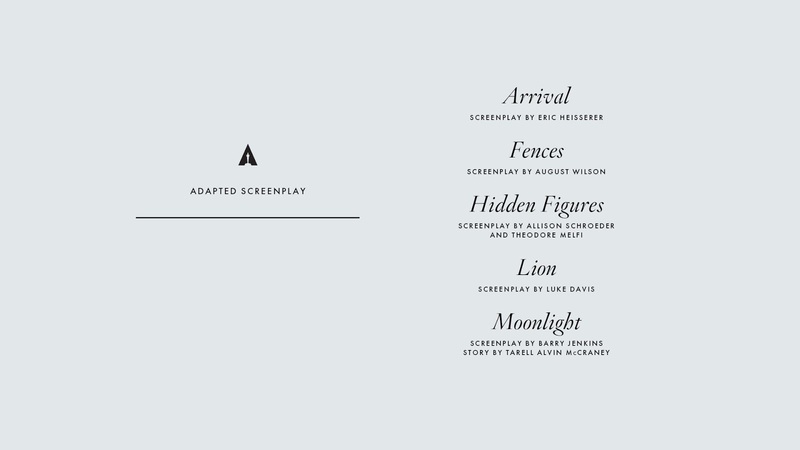 Nick Brent picks his potential winners among this years Academy Award nominees. 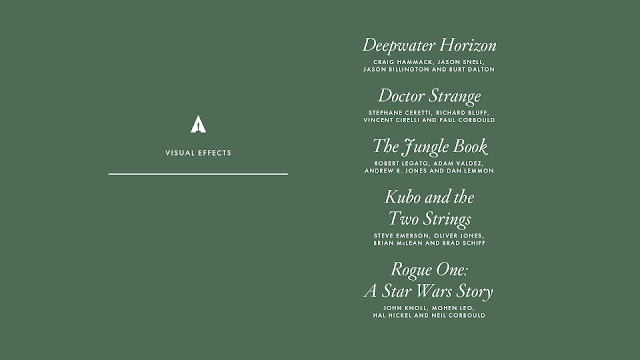 The nominations for the 89th Academy Awards have finally been announced and they’re all pretty great! 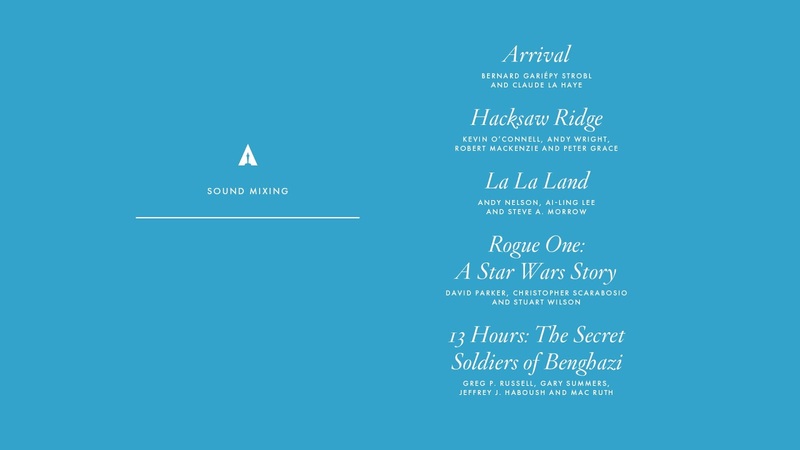 La La Land quite deservedly leads the board with a whopping 14 nominations but there have also been some pretty surprising snubs. So here is the list of nominations with some commentary from me about what I think might win and what I think should have been nominated. 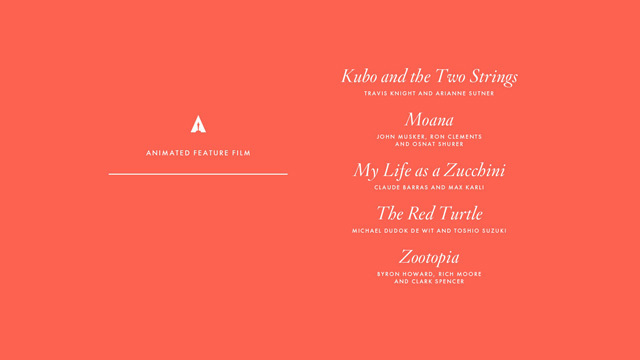 Kubo and the Two Strings is more than deserving of the award, however Disney usually seem to take home the Oscar in this category so I would expect either Moana or - after it’s win at the Golden Globes - Zootopia to win. I thought Piper was an incredibly sweet and beautifully animated short film which was the perfect accompaniment for Finding Dory, but Borrowed Time is a very impactful and moving story that deserves every award it can get! La La Land really stood out for me for its slick and smooth editing, especially during the opening sequence which appears as one seamless take. 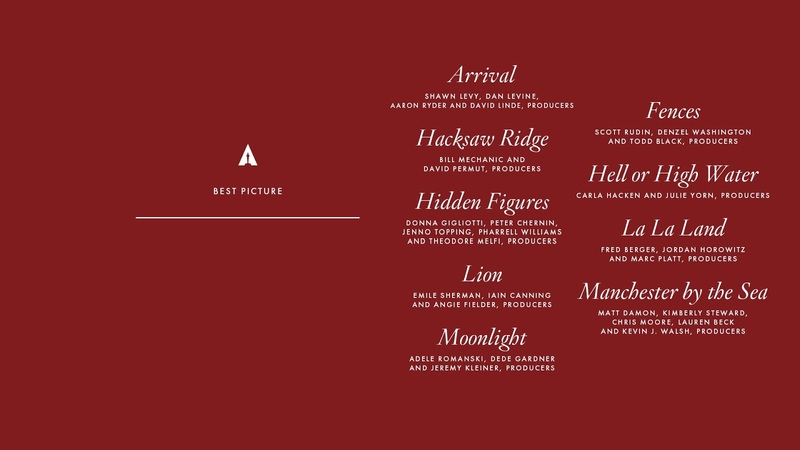 One film I would loved to have seen nominated this year was A Monster Calls, with it’s beautiful transitions from live action to animation. 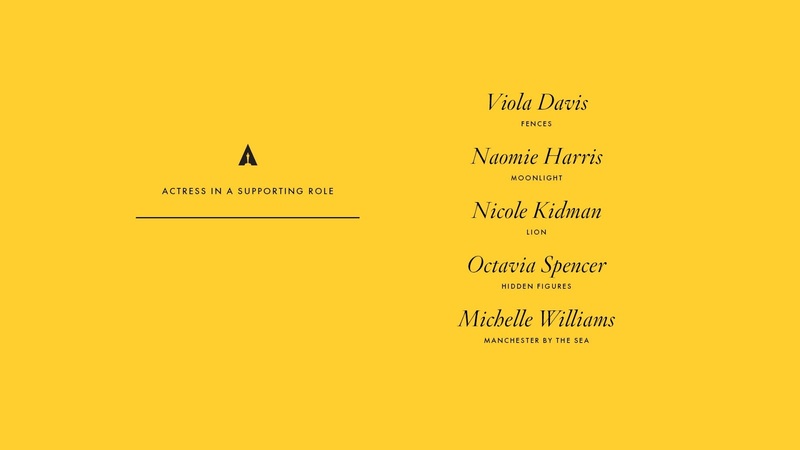 I feel that at least deserved a nomination in this category. La La Land’s costume design was stunning and a true homage to the classic musicals. Jackie is yet to be released in the UK so I've yet to see it (though I'm very much looking forward to doing so) but the costumes in that appear to be pinpoint accurate to the real events. I expect either of those will win, with a special nod to Florence Foster Jenkins. Fantastic Beasts’ costuming was good but Redmayne just appeared to be Matt Smith’s Eleventh Doctor with inverted colours, a scarf and a magic wand instead of the sonic screwdriver. 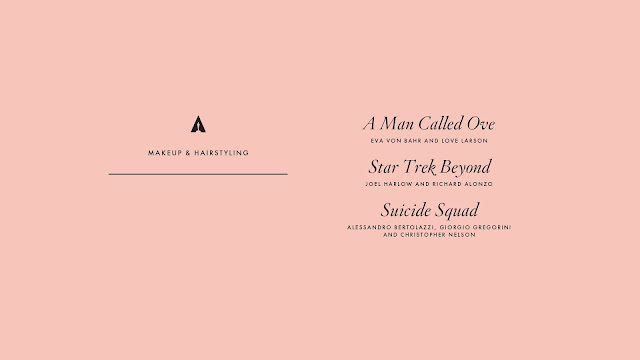 Suicide Squad is Oscar nominated…. 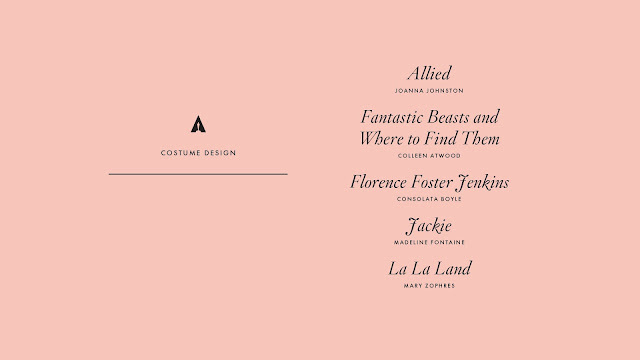 Anyway, Star Trek Beyond to win - the make up effects on Zoe Saldana were pretty great, although I’m surprised all the films nominated in Costume Design weren't also nominated here. I think Kubo has a pretty good shot here, purely for its stop motion craftsmanship, however, I’m rooting for The Jungle Book all the way because the CGI in that is outstanding. Doctor Strange had great visual effects but it felt too similar to Inception. One film I was hoping to see nominated in this category is Arrival, especially for the Heptapods and their ‘writing’. 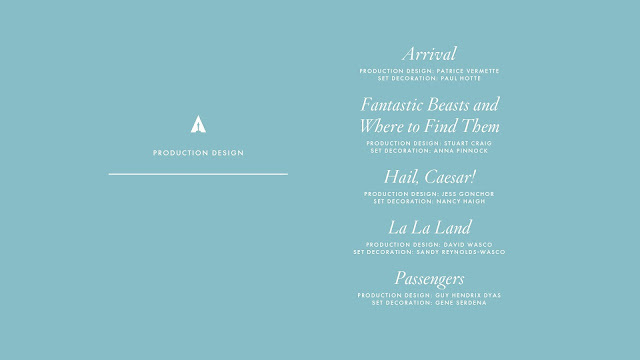 One of the best things about Fantastic Beasts was that it was nice to look at, but I think I’d actually have to give this one to Hail, Caesar! It just got everything so right. It goes without saying that La La Land and Arrival deserve a place on there but I think Florence Foster Jenkins deserved a nod here too. Liverpool is a fantastic substitute for New York in that film and the same goes for Fantastic Beasts. 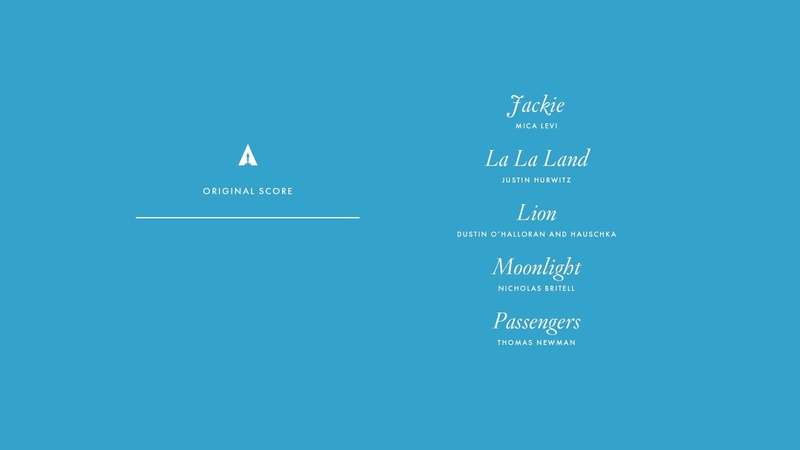 The Moana soundtrack is pretty great but La La Land has one of the best soundtracks I’ve listened to in a very long time. 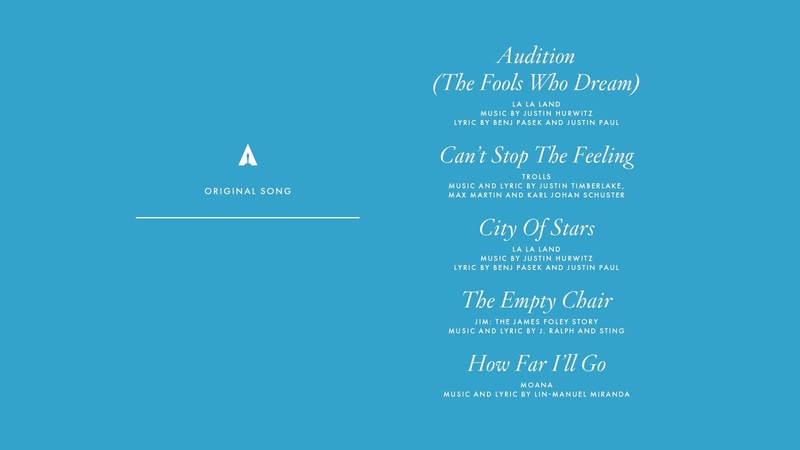 I prefer City of Stars but either song from La La Land for me. La La Land. It has to be. Arrival. 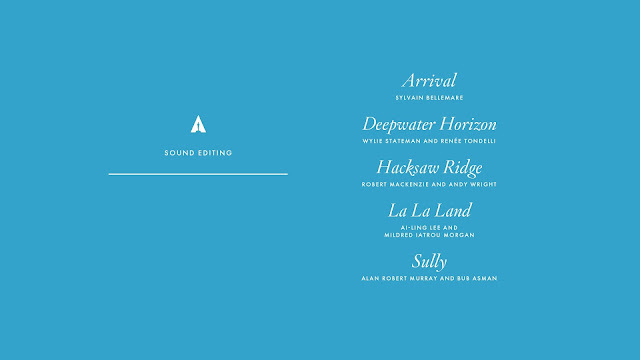 The sound design in that film was resonate. Absolutely incredible. 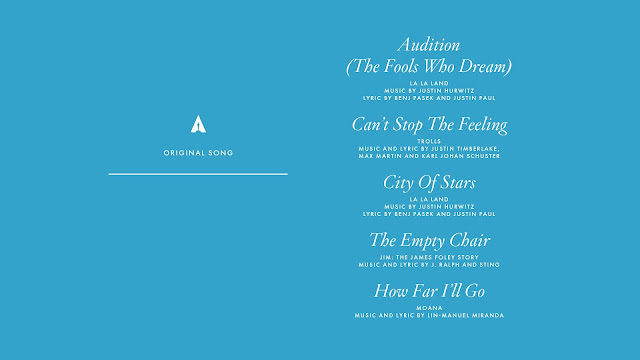 For me, this award would have to go to the musical on the list - La La Land. 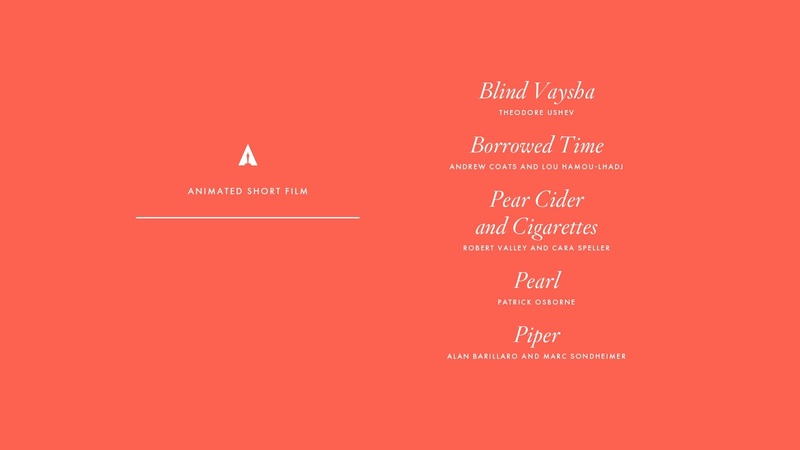 As I have not seen any of the films in the following four categories; Live Action Short Film, Foreign Language Film, Documentary Short, and Documentary Feature I won't comment on them here. 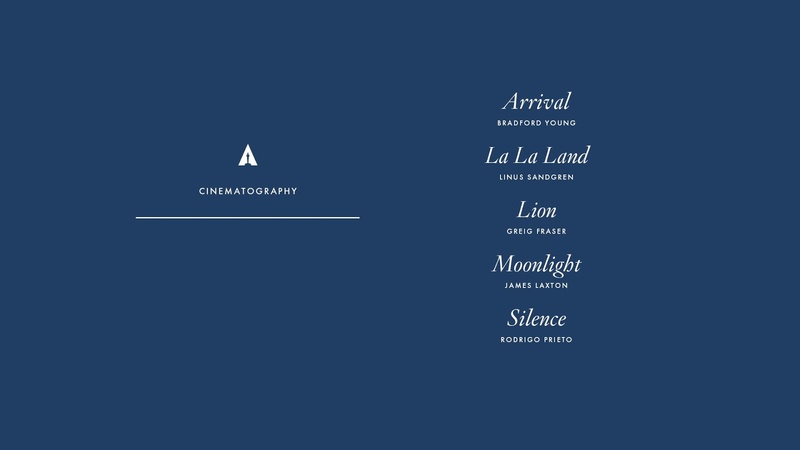 I thought the cinematography on all three of Arrival, La La Land and Silence was great, but I would have to hand it to La La Land. 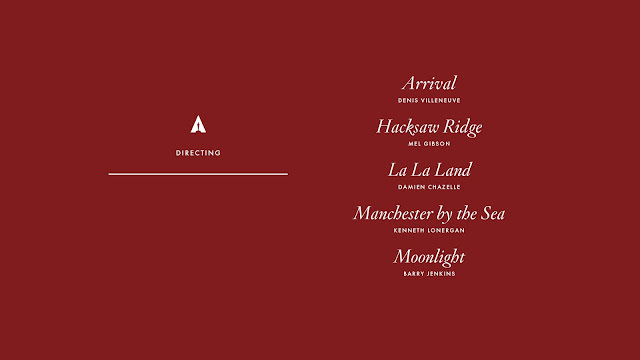 I thought it was an exceptionally beautiful looking film. The colours are magical and its use of light to pinpoint characters and their emotions is stunning. 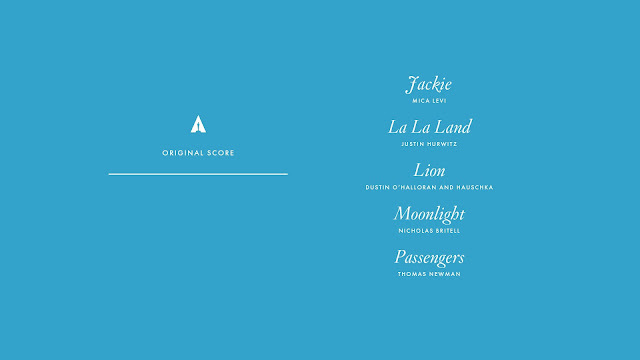 I’m happy for any of the five nominees to win here, but La La Land would be my pick. 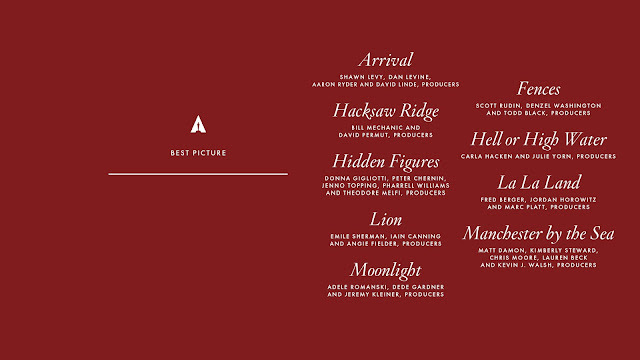 Although I would quite liked to have seen Patrick Ness’ A Monster Calls nominated. After her win at the Golden Globes I predict this will go to Viola Davis. Where is Amy Adams? C’mon! You’re robbing her! 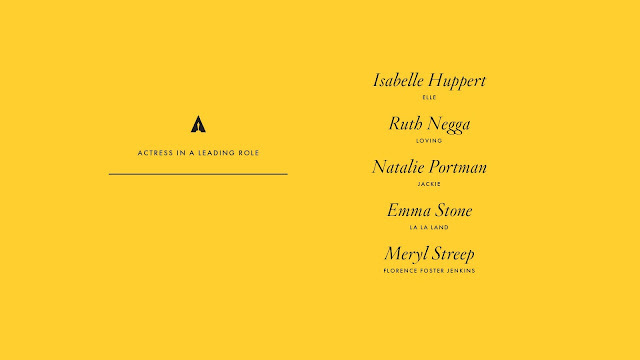 I predict it will go to Natalie Portman, but Isabelle Hupper or Emma Stone could take it after their Golden Globes win. 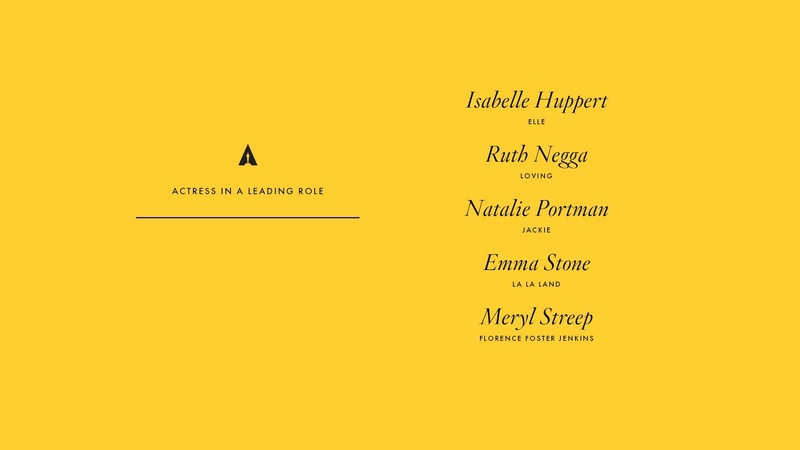 How about Meryl Streep, though, just to rub it in to the haters? 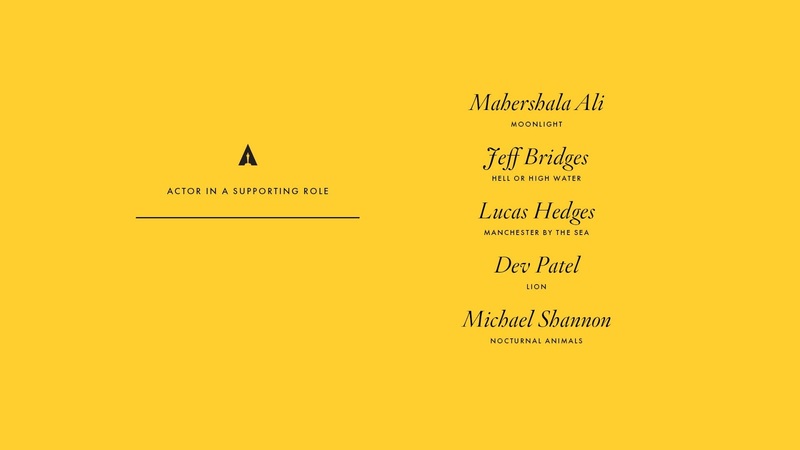 I’m surprised not to see Aaron Taylor-Johnson here after his Globes win. Shame Hugh Grant didn't get a nod - I thought his performance in Florence Foster Jenkins was incredibly touching and one of his best. 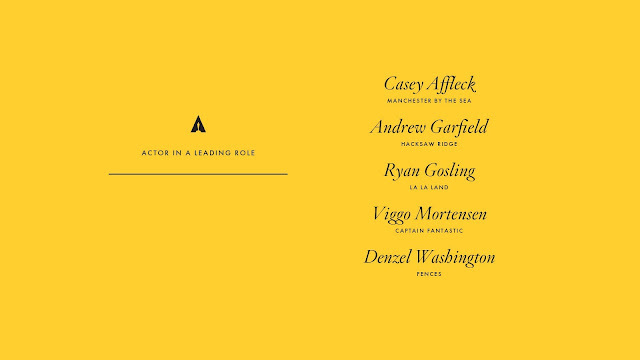 I fully expect Casey Affleck will win this one following his win as the Golden Globes, but Ryan Gosling for La La Land would be pretty great here too. 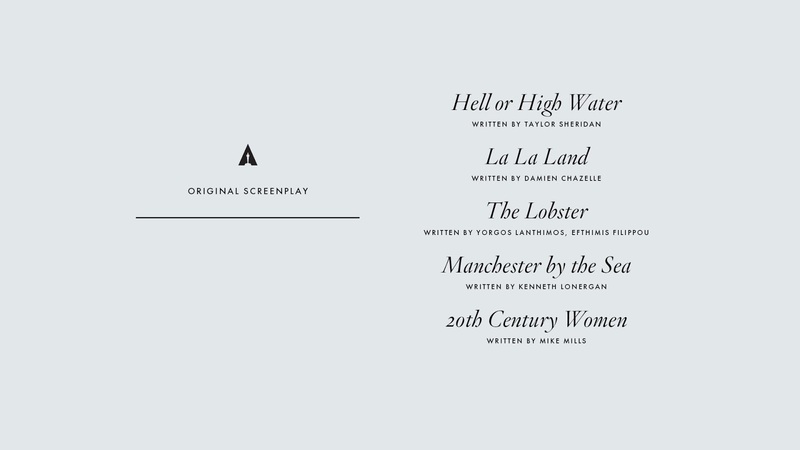 Damien Chazelle is proving to be an incredible filmmaker, having made Whiplash and then La La Land at such a young age. I think he absolutely deserves the award. That being said, Denis Villeneuve crafted something really quite special with Arrival. 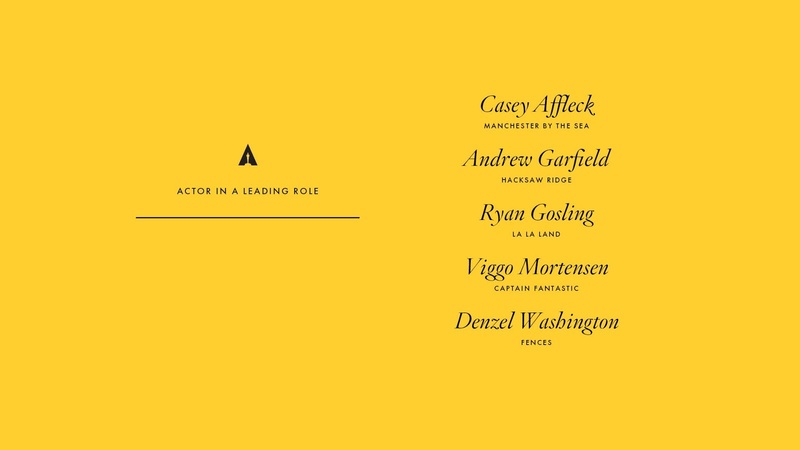 Honestly, I can see any of the nominees here having a fair shot at winning. Once again, for me, it comes down to a toss up between La La Land and Arrival. 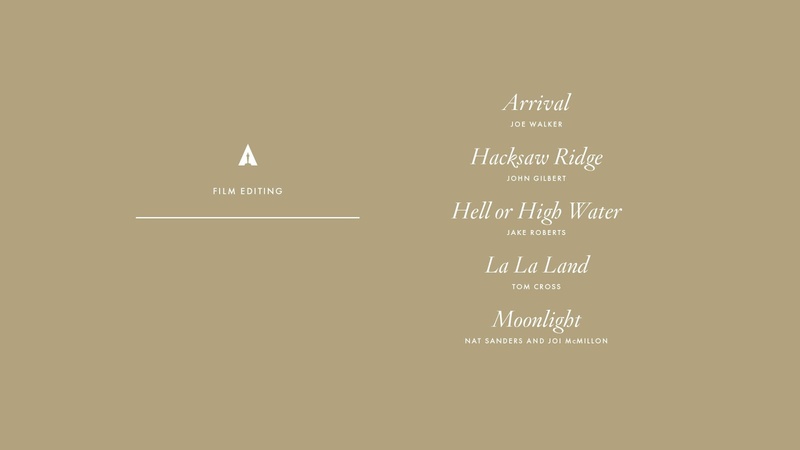 That being said, there are some great films nominated here (and also in the other categories), so whatever wins, I will be happy. 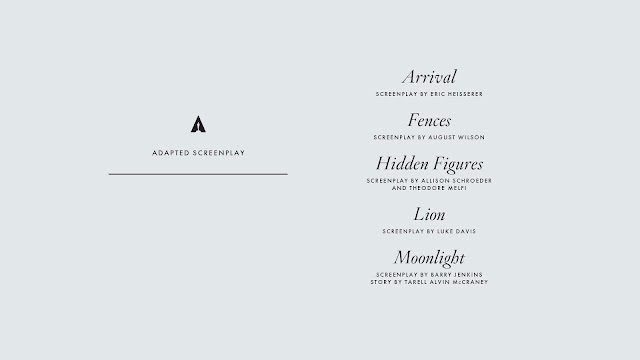 What are your predictions? Were there any films you liked that you felt got left out? 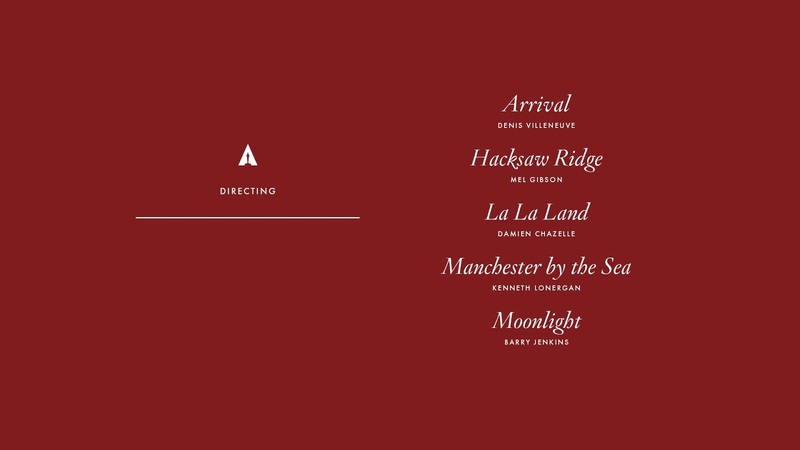 You can catch the Oscars on February 26th - or in the earlier hours of the 27th if, like me, you're in the UK and plan to stay up!